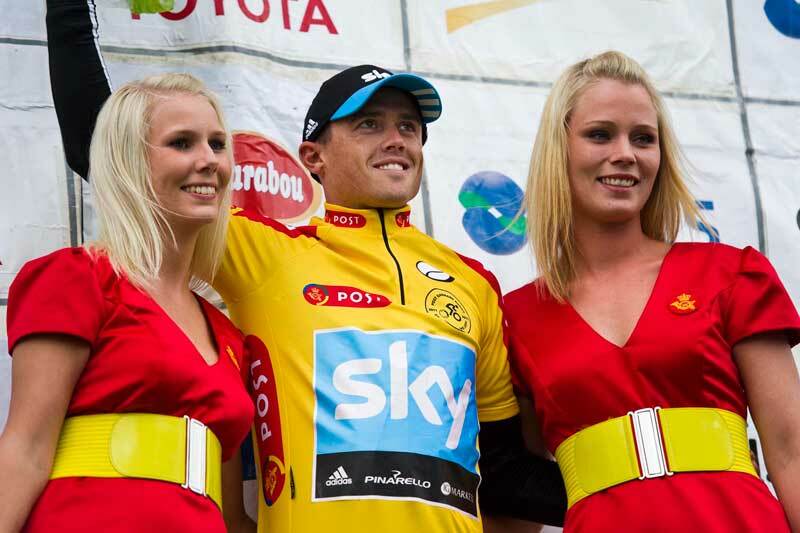 Australia’s Simon Gerrans sewed up the overall win at the Tour of Denmark on Sunday, with his Team Sky team-mates, Britain’s Alex Dowsett and Italian Dario Cioni, taking fifth and sixth overall, respectively. A delighted Gerrans praised his team-mates for having helped secure the victory for him, with Sky also scooping the overall team prize in Copenhagen, where the UCI road world championships will be held in late September. “This year the team’s put a bit more emphasis on trying to win races like this,” Gerrans told Cycling Weekly. First-year pro Dowsett impressed with third place on the penultimate stage’s time trial, won by Saxo Bank’s Richie Porte, in the shadow of Hamlet’s castle in Elsinore on Saturday evening, where 2006 Tour Down Under winner Gerrans put in a spririted defence of the yellow jersey he’d taken ownership of two days previously. Gerrans went into the sixth and final stage between Hillerød and Frederiksberg in central Copenhagen with a slim eight-second advantage over Leopard-Trek sprinter Daniele Bennati, but Sky worked hard to control the race, and it was Rabobank’s Theo Bos who won the bunch sprint – and the dangerous 10 bonus seconds on offer – from Colnago’s Sacha Modolo, assuring victory for the British team overall. Even a rapidly deflating front tyre in the last couple of corners of the finishing circuit couldn’t slow down a pumped Dowsett, whose time-trial result and fifth place overall has left him hopeful for selection for the time trial at the world championships back in Copenhagen on September 21. The men’s Worlds road race takes place on September 25.